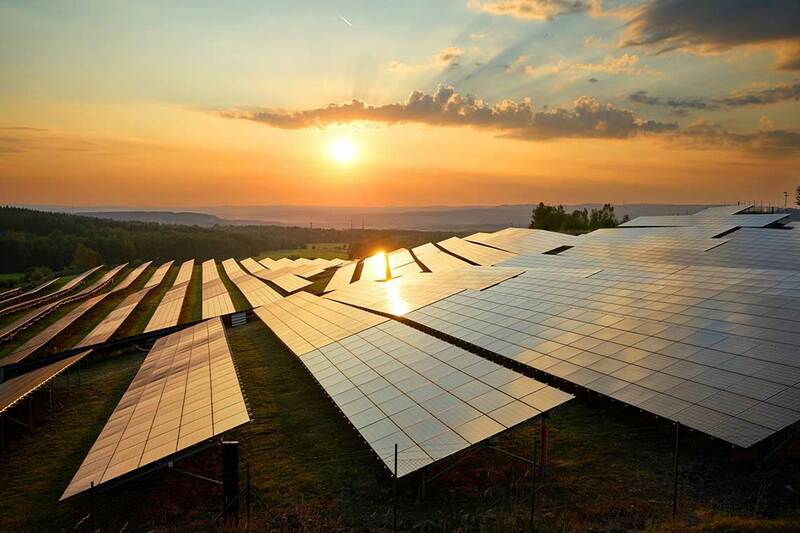 Today’s Future Energy Scenarios release, which sees the transmission system operator evaluate and model different scenarios across the energy sector, suggests that solar PV could provide 33GW of power by 2030 and 66.2GW by 2050. That would be enough to topple solar’s nearest competitor – gas – which National Grid expects to supply 31.7GW in 2030 and 22.8GW by 2050. Those projections are within the most ambitious and optimistic – and therefore least likely – scenario dubbed ‘Community Renewables’. Within that scenario National Grid has said that solar and onshore wind would “dominate” power generation, with flexibility provided by 9GW of storage by 2030. That figure soars 29GW of storage in 2050, with an additional 20.6GW of storage derived from electric vehicle-to-grid connections. A second model, dubbed ‘Two Degrees’, suggests far more modest solar and storage deployment with significant quantities of offshore wind and nuclear power connected to the UK’s transmission network. In the Two Degrees scenario around 24.3GW of solar is connected, rising to 43.7GW in 2050. In contrast, the most pessimistic of National Grid’s scenarios, ‘Steady Progression’, expects 16.4GW of solar by 2030. Given that around 13GW of solar capacity is currently operational, that would mean little more than 3GW of solar would be connected over the coming 12 years. In his opening forward, National Grid UK System Operator director Fintan Slye nodded to recent records in solar generation, but stressed that these made predicting energy scenarios an impossible task. “Against this backdrop [of change], it’s impossible to accurately forecast a single energy future over the long term. However, creating a range of credible futures allows us to continue supporting the development of an energy system that’s robust against different outcomes,” he wrote.